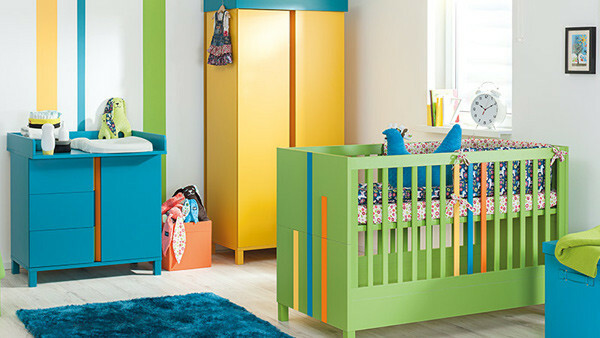 We love combining function with style here at Babyology and today we are green with envy over the bedroom furniture systems for babies and kids at Vox Furniture. Based in Poland, Vox Furniture works tirelessly to create pieces based on studies investigating the current needs of both parents and children. 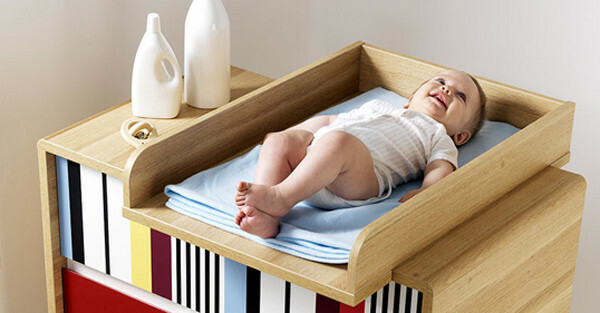 The result is very clever furniture that grows with your kids, is as mobile as possible, is full of creative storage solutions and best of all, inspires play. Spot by Vox] is a furniture collection perfect for primary school aged children. There are wardrobes, bunk beds, desks and drawers to kit out the whole bedroom and with the neutral light wooden frames and white laminate fronts, get ready to accessorise away. 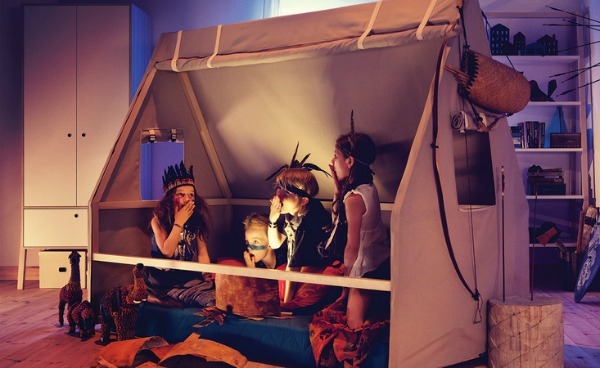 The show stopping piece from this collection is the Tipi Bed (see image at top). A simple, mobile trolley in the shape of a teepee sits over the single bed on lockable casters. Drape a sheet over it for a private oasis or move it elsewhere in the room to create an impenetrable fort. Young Users by Vox is another exciting furniture collection suited to tweens and beyond who want to personalise their space with their own flair of creativity. While innovative beds, desks and shelving come as standard, it is the huge variety of overlays and accessories that make Young Users by Vox stand out from the rest. Perfectly sized to sit on top of the cupboard and wardrobe doors, choose an overlay in coloured metal, one with a decal like a weekly planner to help keep your kid organised or even one with a game like draughts, darts or basketball. The nursery is not forgotten; in fact there is a whole Baby Vox department devoted to exciting furniture collections to fit out a baby’s room in any theme. From the classic Magnolia (pictured above) to the uber-modern Evolve (pictured below) and colourful Hometown, there are cots and change tables, wardrobes and chests of drawers that will keep your head spinning with decisions. If only these options were all available in Australia! For now, Vox Furniture is only available in their showrooms which are concentrated throughout Poland and Eastern Europe. There is talk of expanding to the United States soon so let’s cross our fingers and hope that Australia is next in line.